The Brontë Parsonage Museum will run a host of talks, workshops, exhibitions and discussions looking at the writer of world-famous novel Wuthering Heights. 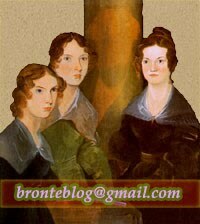 And there will be the annual Brontë Festival Women’s Writing featuring sessions on crime fiction, historical fiction, poetry, current affairs and creative writing. Earlier this summer the museum hosted the launch of Stormy House, which brings Japanese artists together with young people from West Yorkshire to explore the Brontës’ links with Japan. The culmination will be an immersive installation at the museum from November 3 to 11, exploring the ghostly elements of Wuthering Heights and Japanese ghost tales through audio, video, performance and set design. Wuthering Heights in Popular Culture, a free talk on September 4 at 11.30am and 2pm, will look at parodies and reinterpretations, from Kate Bush’s iconic song to a Monty Python sketch. Artist and researcher Rachel Emily Taylor will return to the museum with an audio installation entitled The Outsider, prepared with local children who explored ideas of a “contemporary Heathcliff”. The piece can be heard from October 25 to January 1. This year’s Brontë Festival of Women’s Writing will feature a crime-writing workshop with novelist Francis Brodie, a workshop on writing online with Marisa Bate, poetry read by award-winning Patience Agbabi, and workshops on writing historical fiction and self-editing by Emma Darwin. The museum’s monthly Brontë Treasures afternoons will continue, with curators offering visitors unique access to items in the collection, at 2pm on August 31, September 28, October 26 and November 30. A special Parsonage Unwrapped, on August 31 at 7.30pm, will look at the Pillar Portrait painted of the three sisters by their brother Branwell. Jane Sellars, former director of the Brontë Society and co-author of the seminal text The Art of the Brontës, explores the story behind the iconic image. Further Parsonage Unwrapped nights will look at what it was like to be a working woman in the 19th century (September 28), and allow curators to tell fascinating stories about articles in the Brontë collection (October 26). The Brontës on Tour (November 30) will feature curator Sarah Laycock, who will share fascinating details behind the planning of a transatlantic touring exhibition. Late Night Thursdays, allowing free entry for people living in the Keighley area, will continue on September 20, December 13, and with spooky storytelling on October 25. A talk on October 2 will look at critical responses to Wuthering Heights at the time of its original publication, when people expressed bewilderment, shock and horror, with most critics mesmerised. A talk on November 6 entitled A God of Her Own will explore whether Emily, with a reputation of being a rebel and iconoclast, was driven by spirit more pagan than orthodox Christian. The last talk of 2018, on December 4, will ask “who was Emily Brontë” and ponder the myths and the truths. It is indubitable that this book is a masterpiece, but I also believe it to be a book of self-discovery. The love story is one of the best I have ever come across, and the construction of every character is thoughtful and detailed. The dialogues simply bristle the skin. So, to everyone who is looking for something powerful and life-changing to read, do not search anymore: Here it is. Another review can be found on Random Books Review Web. Gary Claydon: I well remember hearing Wuthering Heights on the radio when it was first released and thinking "Hello, this sounds interesting". And then I saw her perform it on Top Of The Pops and I was smitten. Hook, Line and Sinker. The look, the way she moved, the song and that voice. I went out and bought The Kick Inside at the first opportunity and wasn't remotely disappointed. I think it's fair to say that Wuthering Heights is the song that most divides opinion on Kate Bush. But the vocals conjure up an ethereal. other-wordly feeling to the song that perfectly fits Brontë's tale of ghostly apparition. They're back! The three brilliant masterminds behind the hilarious Young Adult historical novel My Lady Jane (which reimagined the story of Lady Jane Grey with a happier ending--and more shapeshifting) will join us once again to share a glimpse into their collective writer minds. We ask that attendees please provide their own knee and elbow pads so as to prevent injury while rolling on the floor with laughter.